One hundred and one athletes turned out on a sunny Sunday afternoon in Castlewellan Forest Park, for the first race of the McGrady Financial Services Series 2018-19. Athletes from Newcastle AC, East Down AC, Dromore AC, 3 Ways AC and Burren AC take part in the increasingly popular series. 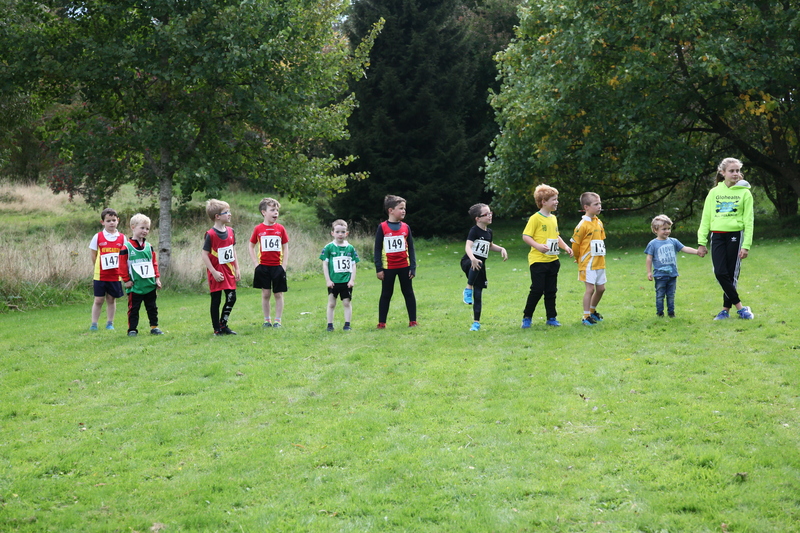 All athletes who complete four out of five races all receive a prize at the end of the series. 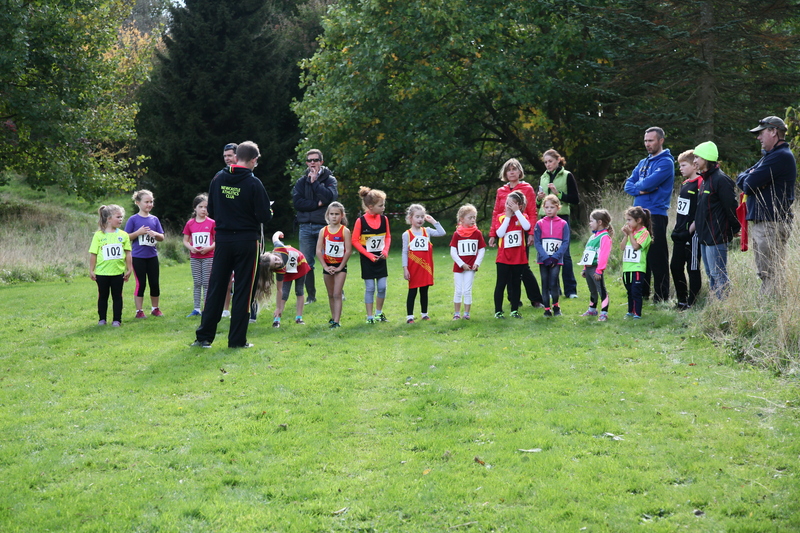 The biggest race of the afternoon was the Primary 4 and Under Girls race with 15 participants – all well supported with parents, grandparents and coaches all cheering from the side-lines! Our thanks to the Rangers and staff of Castlewellan Forest Park and to all the volunteers on race day. Without your support the races cannot take place! Thanks also to McGrady Financial Services for sponsorship of the series. Registration is now open for race 2 of the series which is on Saturday 20th October at 11am in Kilbroney Forest Park, Rostrevor. 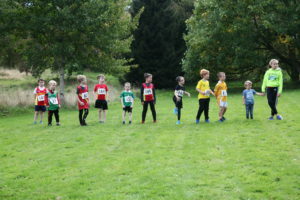 The second race of the McGrady Financial Services Junior XC Series will take place at Kilbroney Forest Park, Rostrevor on Saturday 20th October 2018. To take part in the Series, athletes must be members of Newcastle AC, East Down AC, Burren AC, Dromore AC or 3 Ways AC. ONLINE REGISTRATION is now OPEN and will close on Thursday 18th October 2018 at 9pm. Please note, you only need to enter ONCE for the Series. Full details of the series are available HERE. Registration will close at 12:45pm SHARP with the first race starting at 1pm.